Fireplace repair can involve a very wide range of services. Don’t worry—we will help get your fireplace in tip-top shape. We offer complete repair services. 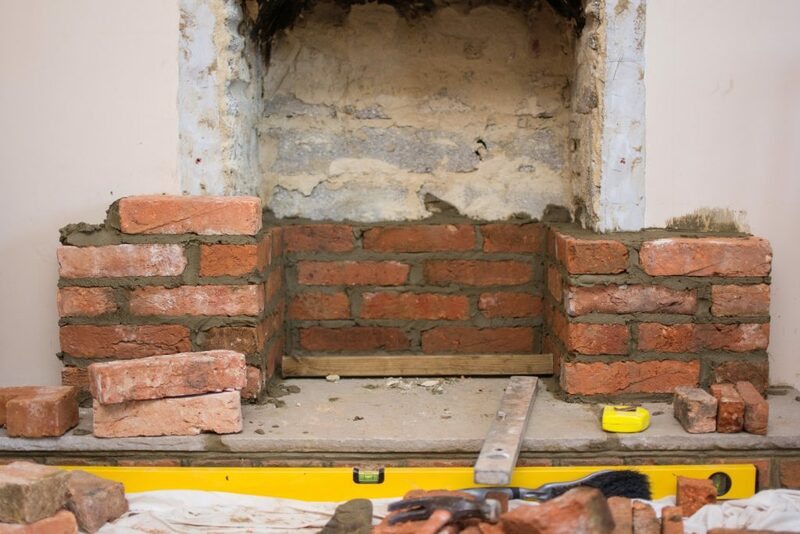 The firebox is where the wood is being burned; you may notice cracks in the fireplace firebox at the mortar joints and/or the bricks themselves. In prefab fireplaces (commonly found in condos) you will have cement panels that usually crack. We carry replacement panels for most makes and models. This is a very common type of firebox repair service that is usually fixed for a low cost. The average fireplace repair cost can be as low as $350 to $750. Often, problems seem to be much too complex for our competitors to rectify. 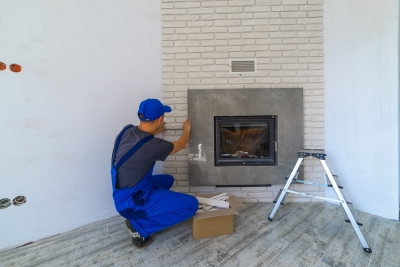 You may have countless years of aggravation and could spend thousands of dollars trying to fix your fireplace problem due to the lack of experience most have. Repairing a fireplace is not something just any chimney sweep or mason can complete successfully! In fact, this is a specialty trade that takes a skilled fireplace mason to build. Who better to complete your fireplace repair than someone who not only knows how to build them but also understands the science behind why they work or won’t work. We have the knowledge and experience to properly diagnose and repair any fireplace problem. With over 20 years in the fireplace masonry trade, we have helped many customers in the region get their fireplaces working correctly. Creative Masonry & Chimney has developed a seamless routine to diagnose the problem. Many jobs can be completed in just one day with unmatchable results. If you have a larger project, once it is started we will not leave for another job; we will work on it daily until completed. On your job, you will have a specialist in the area of repair required. As an example, a mason will NOT install your stainless-steel chimney liner. The smoke chamber is another area that needs some attention. This is located above the fireplace damper (the handle you use to push the small door). This area of the fireplace is where the first flue tile meets the smoke chamber. Voids, gaps, and corbels are problems that may be found here. This is known as the “hot spot” of your fireplace. This area can also act as a bottleneck, preventing the exhaust from drafting smoothly up the chimney, causing smoke to leak back into the room. If there are voids or cracks, this can be a real fire hazard. Repairs to this area are a bit more serious, but can usually be rectified at a reasonable cost. Resurfacing the average smoke chamber will run $500-$750 and could go higher. 1. The damper is missing or wide open and there is a huge hole with no way to stop the cold air from down-drafting. 2. If there is debris preventing the damper from properly closing, they usually fall off track. There is almost always an easy low-cost solution. We find that the following two are the most common. You may need to replace your damper. If you need a replacement top-mount energy-saving damper, the average cost will be between $299.99-$450 depending on the size of your fireplace flue tiles and the difficulty of the installation. We carry many different sizes in our chimney repair service vehicles. The second is a chimney sweep! Yes, that’s right—a chimney cleaning, costing only $169.99. Contact us so we can help figure out the chimney services your home needs. In such a competitive world with many options, we have come to find only three reasonable solutions to having your fireplace flue repaired. 1. Terracotta Flue Tiles– Usually original to the home. Replacement can be more costly. 2. Stainless-Steel Chimney Liners – Economical solution. Chimney liners are as good as, if not better than, terracotta tiles. Usually completed in one day. 3. Spray Flue Liners – Several layers are sprayed inside the current flue. The coating seals all small holes and cracks and strengthens the chimney—a very good solution for old fireplaces without flue tiles or a smoke chamber. Usually completed in one day. Keep your family safe and protect the investment you made in your property. We would love to help you, our customer, and get your problems rectified. We offer two convenient ways to contact us for repair. 1. Call Us – When you call please set aside a few minutes to talk with us. We usually can give accurate estimate costs right over the phone to repair or rebuild your fireplace. Our process of coming to your home for the initial consultation may be a bit different from our competitors, and so are our results! As true fireplace specialists, we will gladly diagnose any problems for you, give you a second opinion, etc. Please keep in mind, in order for us to make an onsite visit, there is a small fee of only $129.99. We will gladly apply this to the cost of your work when you hire us. We’ll inspect your system to see that it is properly functioning. We will diagnose and suggest the proper solution for any problems, along with a written estimated cost for fireplace repairs.